In its judgment in Sekmadienis v Lithuania (application number 69317/14), the European Court of Human Rights (ECtHR) defined the contours of "public morals" and their punitive reach over commercial free speech. 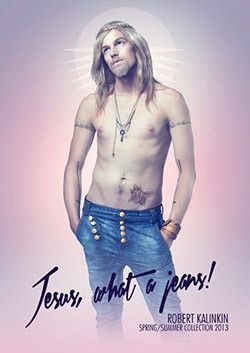 Lithuania’s State Consumer Rights Protection Authority (SCRPA) fined Sekmadienis (Sunday in Lithuanian), a domestic ad agency, over a two-week campaign considered to violate Lithuanian public morals and, in particular, Christian religious sentiments. 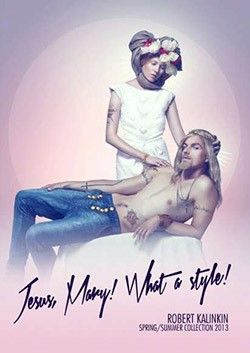 The advertisements (below) ran during September 2012, in connection with a clothing line of a Lithuanian designer and in order to promote his (then) upcoming fashion show. The marketing effort to provoke Christian religious sentiment is rather obvious, and, in my view, disappointingly old fashioned. The SCRPA did not act ex officio, but after receiving five separate (telephone) complaints. It found the ads to be in breach of Article 4, Section 2(1) of the Lithuanian Law on Advertising and fined Sekmadienis some €580. It is interesting to note that during national proceedings, after Sekmadienis challenged the fine, the law was amended to include an express prohibition on the expression of contempt for religious symbols in advertising. The case found its way to the ECtHR on the grounds of alleged violation of Article 10 of the European Convention on Human Rights, which protects freedom of expression, including commercial expression, such as advertising. The ECtHR reiterated its key jurisprudence reminding us all that any interference with freedom of expression should be: (i) prescribed by law; (ii) in pursuit of a legitimate aim; and (iii) necessary in a democratic society. In addressing the matter, the Court clarified that “not every use of religious symbols in advertising would violate public morals" and was critical of the fact that while the case was ongoing, the national authorities felt compelled to change the law. It did concede that the restriction pursued legitimate aims, namely the protection of morals arising from the Christian faith and the right of religious people not to be insulted on the grounds of their beliefs. As regards “necessity”, the Court noted that, unlike political speech or the debate on matters of public interest, states have a “broad margin” of appreciation in the regulation of speech in commercial matters or advertising, but that margin is not “unlimited”. Sufficient explanation of the restriction should therefore have been provided by the Lithuanian courts and authorities. But the rationale supporting the legality of the fine fell short of being sufficient, according to the Court, which was also particularly critical of the reasoning adopted in SCRPA’s decision that the advertisements “promot[ed] a lifestyle which [was] incompatible with the principles of a religious person”, without even explaining why a lifestyle which is “incompatible with the principles of a religious person” would necessarily be incompatible with public morals. Accordingly, the Court concluded that “the domestic authorities failed to strike a fair balance between, on the one hand, the protection of public morals and the rights of religious people, and, on the other hand, the applicant company’s right to freedom of expression”. The inadequate reasoning behind the fine provided a quick way for a finding of an Article 10 violation. 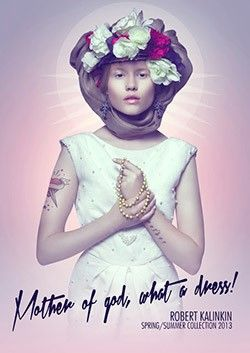 However, it would be a mistake to construe the judgment as a “carte blanche” to the use of religious symbols in advertising. The judgment reminds us that commercial expression is subject to a wider state margin of discretion (unlike for example political expression), which however must be exercised with caution and sound reason. It also affirms that rights under the ECHR, such as freedom of expression, must be exercised in a way that does not jeopardize the exercise of other rights under the ECHR, such as freedom of religion. In the end, national authorities must balance conflicting interests and also provide solid grounds for the outcome of such balancing. The judgment was issued on 30 January 2018, shortly after the General Court of the EU issued its judgment in Fack Ju Göhte (Case T-69/17) and has been contrasted to that judgment, as a more liberal approach to commercial expression. In my mind, there is little to compare between a word mark obviously reproducing vulgar language, and these ads. Would public morals be the reason for the EUIPO or the EU courts to reject these ads or a word mark "Jesus, Mary! What a style" in class 25? I am not so sure. "JESUS IS MY HOMEBOY" was actually registered as a (then) CTM back in 2003 in class 25, and so was "SECRET JESUS" in 2015 and in 2012, and even "GOD CAN'T DESTROY STREETWEAR" in June 2018. These examples show that filing the slogans in the ads as EUTMs might have been a reasonable and educated risk. That being said, it may not be entirely unfair to say that the EUIPO and the EU courts, in interpreting the public morals bar to trade mark registration under the EUTM regulation or the Trade Marks Directive, are indeed less lenient. The recent General Court ruling in La Mafia se sienta a la mesa (Case T-1/17), accepting a cancellation action filed by the Italian state is perhaps a lucid example. The General Court took an unequivocal stand, ruling that “the contested mark, considered as a whole, refers to a criminal organisation, conveys a globally positive image of that organisation and, therefore, trivialises the serious harm done by that organisation to the fundamental values of the European Union … is therefore likely to shock or offend not only the victims of that criminal organisation and their families, but also any person who, on EU territory, encounters that mark and has average sensitivity and tolerance thresholds." For those interested in the interaction between trade marks and free speech, the IP Emerging Issues Team has drafted a multi-jurisdictional booklet, which, with the help of colleagues around the world, sheds interesting light in how various jurisdictions around the globe approach this, uneasy at times, relationship. The booklet can be found here.